President Barack Obama (Serving) - "15-Love"
Attorney General Eric Holder (Returning Serve) - "With all due respect Mr. President, it is Love-15." Obama - "Eric, you know I hired you don't you?" Obama - "Jay, where the hell is the teleprompter?" 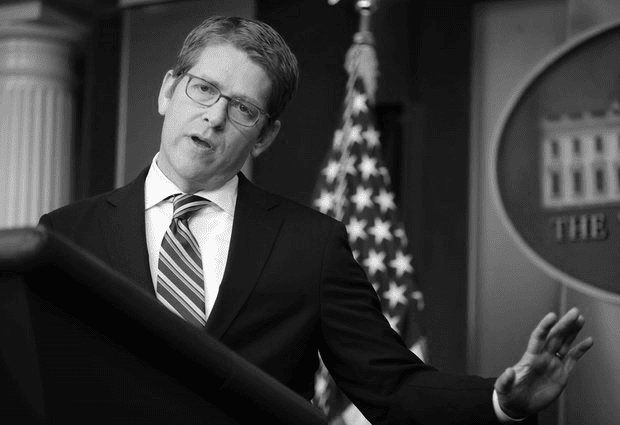 White House Press Secretary Jay Carney - "Well, it's over..."
Obama - "Would you please turn it toward Mr. Holder so he knows the damn score." Carney - "Yes, Mr. Pres..."
Obama - "Nancy. What the hell are you giggling about?" 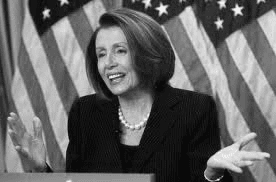 House Minority Leader Nancy Pelosi - "Well Mr. President, I thought we could just keep playing and worry about the score later." Obama - "Jay, I like that. Whadda you think? Carney - "I like that - simple. Yeah, that's great." Obama - "Holder, you got that? No, don't answer. Just stand there." Obama (First serve called "out" by Holder) - "Jay, did you see that? Was that good or what?" Carney - "Yes sir, Mr. President. There is an overwhelming consensus, indicating that serve was definitely in." Holder - "Well, I believe..."
Obama - "There you go again Eric. I get you out here for a little fun and you think you can say what you want. Nancy, was that serve good or not?" Pelosi - "Can't we just call it a point and talk about whether or not the serve was in later?" Obama - "Great idea Nance. Jay, put that in some talking points and send it to that Rice woman." Carney - "Should we schedule her for a White House press conference?" Obama - "No, damn it. Put her on some afternoon talk shows. I don't care. Call The View. They love me." Obama (Serving) - "Psst, Jay. Hey Jay." Carney (Walks over to the President.) - "Yes sir, Mr..."
Obama - "Shut up Jay. Is that Fox News in the middle of all my admiring national media reporters over there?" 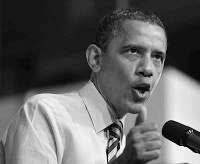 Obama - "Would you shut the hell up? Get back to the net and act like you know how to play tennis. The others are clueless, but Fox pays attention. Take it easy on Holder and don't make Nancy look...well, you know. Act like you're doing one of those press conference things. Fake it man, just fake it." Obama (Serving) - "30-Love, Errric"
Pelosi (After crushing a passing shot deep between Obama and Carney) - "Wow! I ripped that shot by quicker than the Healthcare Bill." 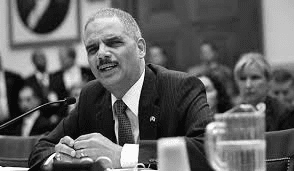 Obama - "Holder, what the hell are you grinning about?" Holder - "I just thought that was a nice shot Mr. Pr..."
Obama - "Jay, he's doing it again. Perhaps you can be his spokesperson too. I hate all this candidness." Carney - "I'll get right on that. Can you handle a few of your own if I get busy with Holder's?" Obama - "Hell no. Forget that idea. Hey, is that a veterans group over there in the stands? Carney - "Yes sir, but perhaps we should just..."
Obama - "No! Get Doctor Pelosi and Inspector Clouseau over to the net and we'll all give them a thumbs-up." Carney - "I'm sure if we just..."
Carney - "Well, that didn't go too well Mr. President. That was a different finger we got in return." Obama - "Well, at least it was up. I like that. They love me." Carney - "Look there's a college group over there." Obama - "No, no. They're starting to read the real news." Carney - "How about that bunch of kindergartners over there?" Obama - "Okay, forget all that. I have only this term left anyway." Obama - "40-Love. Jay, isn't it 40-Love?" Carney - "Well, according to recent polls, regardless of the reality of the situation, I believe, overwhelmingly, that it must be 40-Love. Yes, Mr. President, it is indeed 40-Love." Obama - "Nancy? Nance, are you okay?" Pelosi - "I'm fine Mr. President. Just having one of my moments." Obama - "Okay then. Match Point." Vice President Joe Biden (from the stands) - No! No way! It's still the first inning! Obama - "Jay, is that who I think it is?" Carney - "Yes, Mr. President." Obama - "Is he right?" Carney - "Well, not actually, but it is the first game of the first set." Obama - "Damn it. I've got a tee time at Pebble with Matt Damon. Wasn't he great in The Deer Hunter? Let's just walk off the court like we never even showed up for this match." Carney - "Great! I'll hold a press conference!" Obama (to Carney) - "Yeah. About the match. Use that "What difference does it make?" thing Hillary pulled at that hearing. She's so funny. Obama (to Carney while walking off court) - "Isn't that Letterman?...Hey, Dave!" From a Press Box - "You cannot be serious!" From Inside a Press Box - "You're right. He's not."